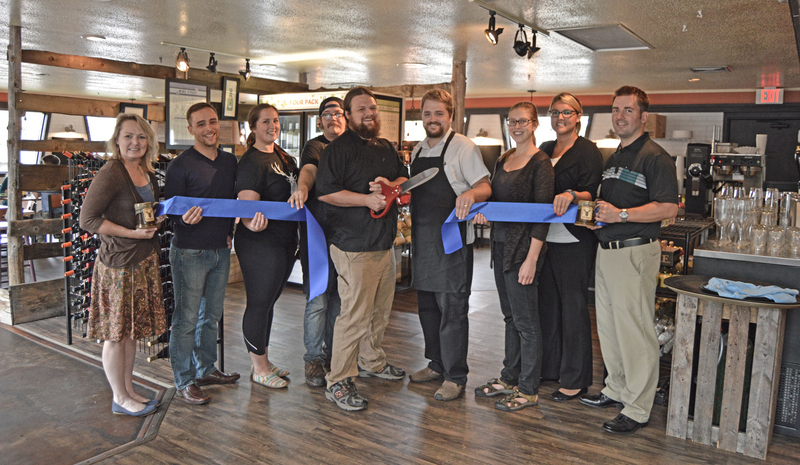 MARQUETTE – Gitche Gumee Café and Records recently teamed up with the Lake Superior Community Partnership (LSCP) and Accelerate U.P. to celebrate their grand opening. Are you looking to settle down to coffee and music? Visit Gitche Gumee Café and Records at 1015 N. Third St., Marquette. Hours are 10 a.m. – 8 p.m., Monday through Saturday and 12 – 5 p.m., Sunday. For more information call 906.273.2266 or email gitchegumeecafeandrecords@gmail.com. Attending the celebration (from left to right) Accelerate UP Resource Team Members, Marquette County Ambassadors, LSCP Staff, City of Marquette Mayor, Marquette Downtown Development Authority and Gitche Gumee Owners. 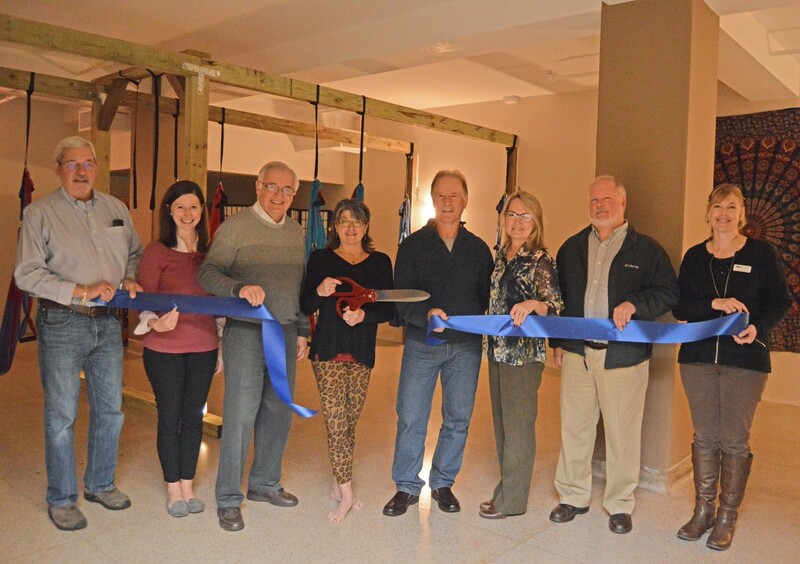 MARQUETTE – Marquette Yoga Center recently teamed up with the Lake Superior Community Partnership (LSCP) to celebrate a new space which offers aerial swing yoga. They are located at 130 W. Washington St., Marquette. Hours can be found online (marquetteyogacenter.com) and the studio can be contacted at 906.250.2323. Attending the celebration (from left to right) John Marshall, Marquette County Ambassador, Betsy Morais, LSCP Director of Marketing and Communications, Tom Baldini, Marquette City Commissioner, Mary Connor, Owner, Dave Campana, City of Marquette Mayor, Linda O’Brien, LSCP Business Development Representative, Dave Aro, Marquette County Ambassador and Nicole Young, Marquette County Ambassador. Attending the celebration (from left to right): Travis Hongisto, Marquette County Ambassador, Tom Baldini, Marquette City Commission, Dave Campana, Marquette City Mayor, Mike Plourde, Marquette City Commission, Nathan and Jennifer Taylor, Owners, Betsy Morais, LSCP Dir. of Marketing and Communications, Chris VanAbel, Marquette County Ambassador and Mary VanTilburg, LSCP Business Development Representative. 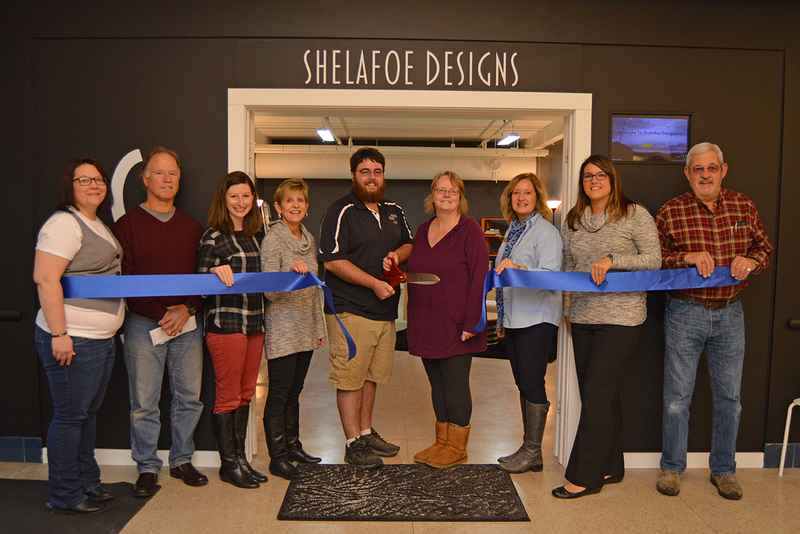 MARQUETTE- Shelafoe Designs recently teamed up with the Lake Superior Community Partnership (LSCP) to celebrate their grand opening with a ribbon cutting. Shelafoe Designs is a group of designers that specialize in web design and graphic design. They are located at 130 W. Washington, Suite L2 and can be contacted at 906.869.6306 or mike@shelafoedesigns.com. Visit Shelafoe Designs online at shelafoedesigns.com. Attending the celebration (from left to right): Sarah Reynolds, City of Marquette Mayor Pro Tem, Dave Campana, City of Marquette Mayor, Betsy Morais, LSCP Director of Marketing and Communications, Chris VanAbel, Marquette County Ambassadors, Mike Shelafoe, Owner, Gery Shelafoe, Owner, Michelle Sellers, Marquette County Ambassador, Mary VanTilburg, LSCP Business Development Representative and John Marshall, Marquette County Ambassador. 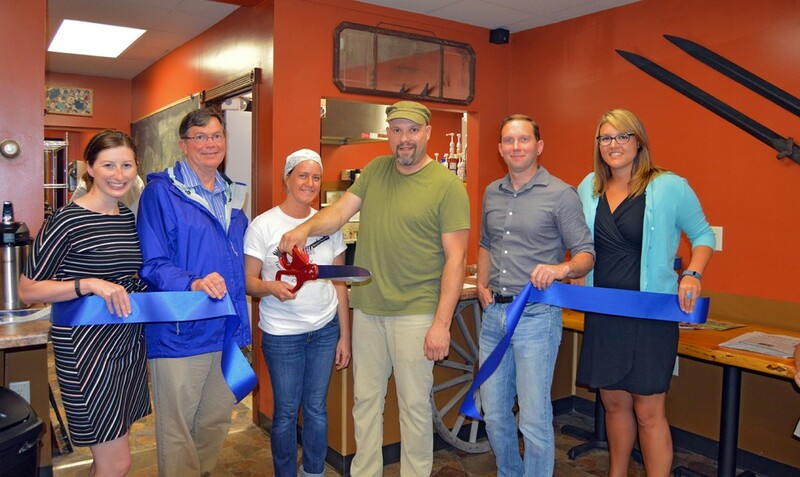 MARQUETTE – Ojibwa Express Convenience recently teamed up with the Lake Superior Community Partnership (LSCP) for a ribbon cutting to celebrate their grand opening. The gas station and convenience store is located at 3475 US 41 W Marquette, MI. Ojibwa Express is open 6 a.m. – 10 p.m. during the week and 7 a.m. – 10 p.m. on weekends. Contact them at 906.273.2446 for further information. Attending the celebration (from left to right): Betsy Morais, LSCP Director of Marketing and Communications, Michelle Hoggard, Manager, Don Messer Jr., Board Member/Tribal Council Member, Tony Rabitaille, Chairman of the Board Aanikoosing Inc., Andrew Chosa, Chief Executive Officer Aanikoosing Inc., Caralee Swanberg, LSCP Vice President of Economic Development, Don Gladwell, Marquette County Ambassador, Jim Grundstrom, Marquette County Ambassador. 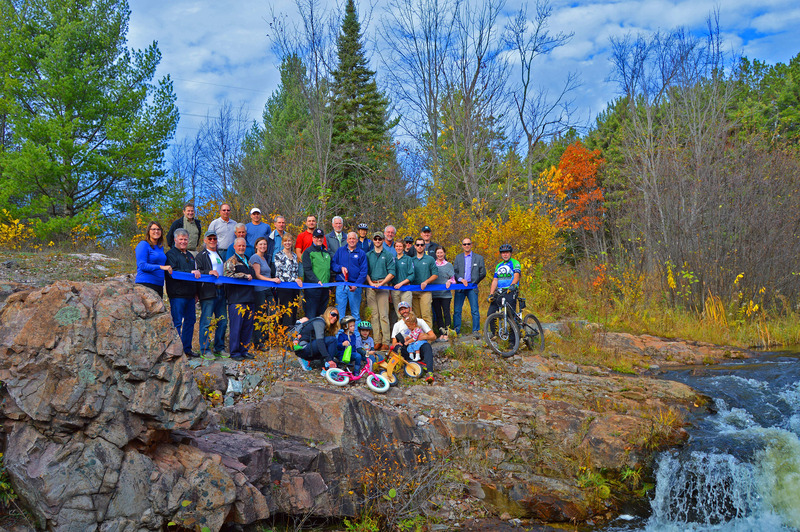 MARQUETTE – The Noquemanon Trail Network teamed up with the Lake Superior Community Partnership (LSCP) for a ribbon cutting to celebrate the new BLP Rocks Trail. The trail is for multi-use and is located on property owned by the Board of Light & Power. MARQUETTE – Forsberg’s… A New Leaf recently teamed up with the Lake Superior Community Partnership (LSCP) to celebrate their relocation. The shop offers a wide variety of floral arrangements and gifts. A New Leaf is located at 201 S. Front St., Marquette and is open 9 a.m. – 5 p.m., Monday through Friday and by appointment Saturday. Deliveries are available. They can be reached at 906.226.2571. Attending the celebration (from left to right): Betsy Morais, LSCP Dir. of Marketing and Communications, Mary VanTilburg, LSCP Business Development Representative, Sam Elder, Marquette County Ambassador, Kim Koenig, employee, Lou Ann Balding, owner, Mike Coyne, City of Marquette Mayor, Nicole Young, Marquette County Ambassador and Scott Erbisch, Marquette County Ambassador. 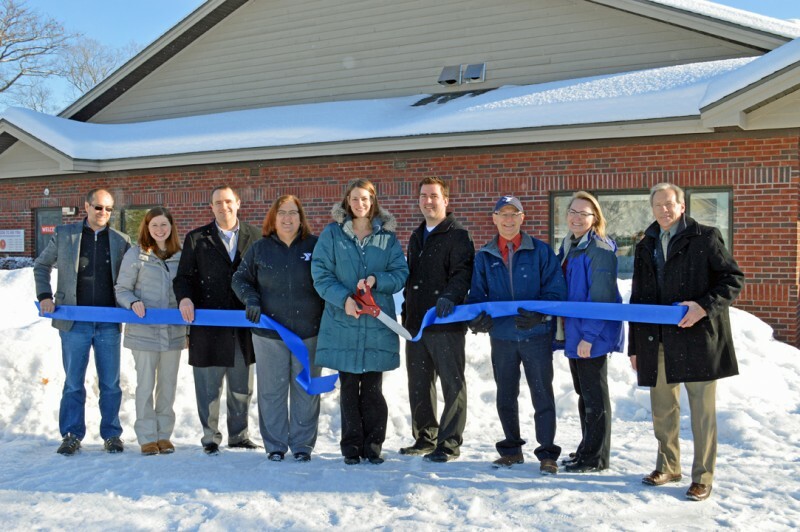 MARQUETTE – Nestledown Bed and Breakfast recently teamed up with the Lake Superior Community Partnership (LSCP) to celebrate their grand opening with a ribbon cutting. The Scandinavian Bed and Breakfast, located at 975 N. Lakeshore Blvd and can be contacted at 906.273.0996. More information can be found online at www.nestledownmarquette.com. Ken and Sue Schauland would like to thank the contributing businesses, along with their family for the love, support and labor. Attending the celebration (from left to right) Betsy Morais, LSCP Dir. of Marketing and Communications, Marina Dupler, NMU Alumni Association, Dennis West, Marquette County Ambassadors, Sheri Davie, Marquette Brownfield Authority, Mike Lempinen, Architectural designer, Susan and Ken Schauland, InnKeepers of Nestledown, Jason Schneider, Marquette Chamber of Commerce Executive Director, Dan Landers, Marquette County Ambassador, Gladys Schauland, Ken’s mother, Jeremy Hinkson, M Bank, Amy Dale, M Bank, and Linda O’Brien, LSCP Business Development Representative. 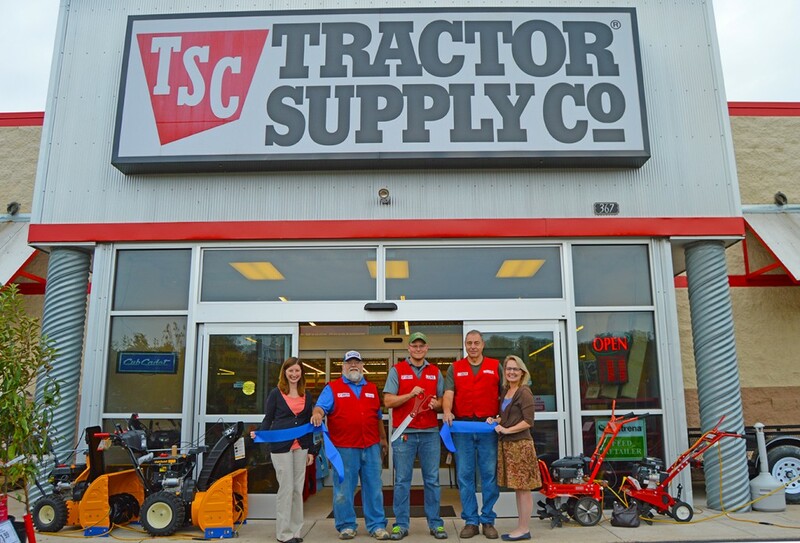 MARQUETTE – Tractor Supply recently teamed up with the Lake Superior Community Partnership to celebrate their fifth anniversary. Tractor Supply is located at 367 US HWY 41 E., Negaunee, MI and they can be reached at 906.226.5240. Attending the celebration (from left to right): Betsy Morais, LSCP Director of Marketing and Communications, Steve Halsey, Luke Luedeman, John Fawcett and Linda O’Brien, LSCP Business Development Representative. 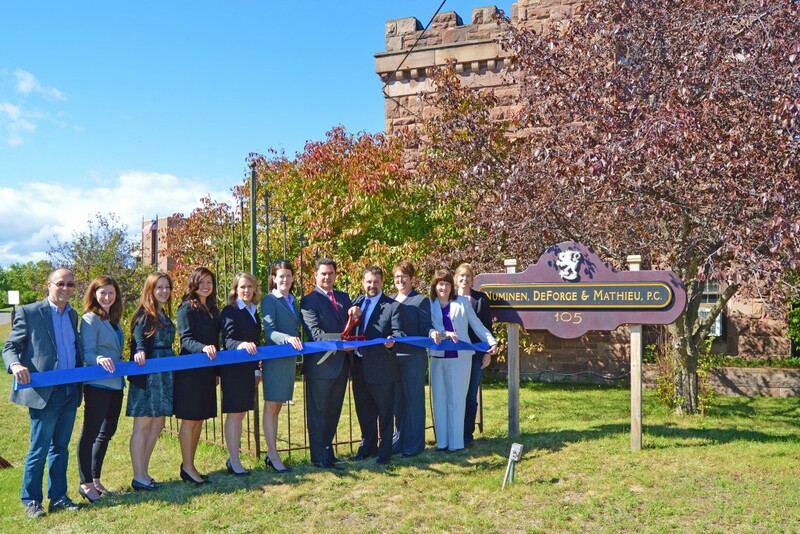 MARQUETTE – Numinen, DeForge & Mathieu recently teamed up with the Lake Superior Community Partnership (LSCP) for a ribbon cutting to celebrate the addition of partners Keith DeForge and Jana Mathieu to the law firm. The firm serves the Upper Peninsula, including Chippewa, Houghton and Marquette counties. The Marquette office is located 105 Meeske Ave. and can be contacted at 906.226.2580. Visit www.numinenlaw.com for further information. Attending the celebration (from left to right) Dan Landers, Marquette County Ambassador, Betsy Morais, LSCP Director of Marketing and Communications, Caralee Swanberg, LSCP VP of Economic Development, Yubi Ghiardi, Anne Perala, Jana Mathieu, Karl Numinen, Kieth DeForge, Kim Hodges, Amy Clickner, LSCP CEO/Marquette County Ambassador and Nicole Young, Marquette County Ambassador. 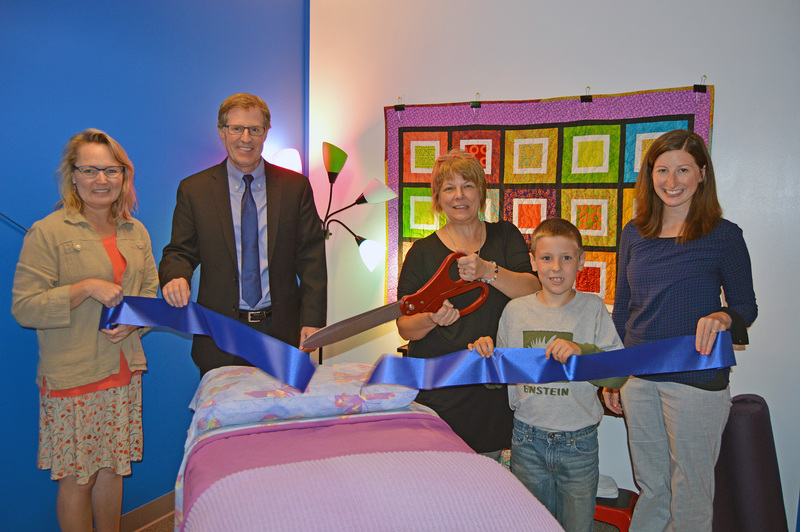 MARQUETTE – Carolyn Provencher Acupuncture recently teamed up with the Lake Superior Community Partnership (LSCP) for a ribbon cutting to celebrate its grand opening. The business is located at 715 W. Washington St., Suite C2, Marquette, MI. Carolyn Provencher Acupuncture offers free consultations, initial appointments and standard acupuncture appointments. The business is open Tuesdays 10 a.m. – 6 p.m., Wednesdays 2 p.m. – 8 p.m., Fridays 9 a.m. – 5 p.m. and Saturdays 9 a.m. – 2 p.m.
Carolyn Provencher Acupuncture can be reached at 906.458.2565 and more information can be found online at carolynprovencher.com. 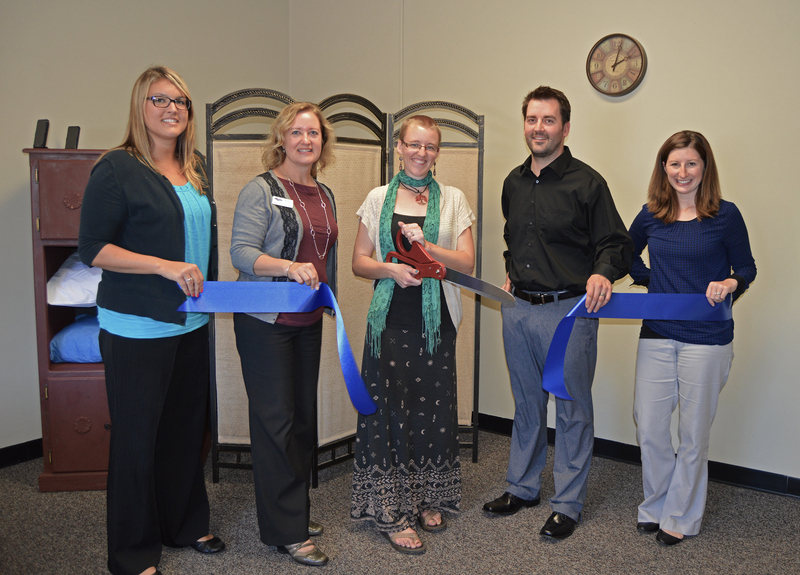 Attending the celebration (from left to right): Mary VanTillburg, LSCP Business Development Representative, Michelle Sellers, Marquette County Ambassador, Carolyn Provencher, Owner of Carolyn Provencher Acupuncture, Travis Hongisto, Marquette County Ambassador and Betsy Morais, LSCP Director of Marketing and Communications. 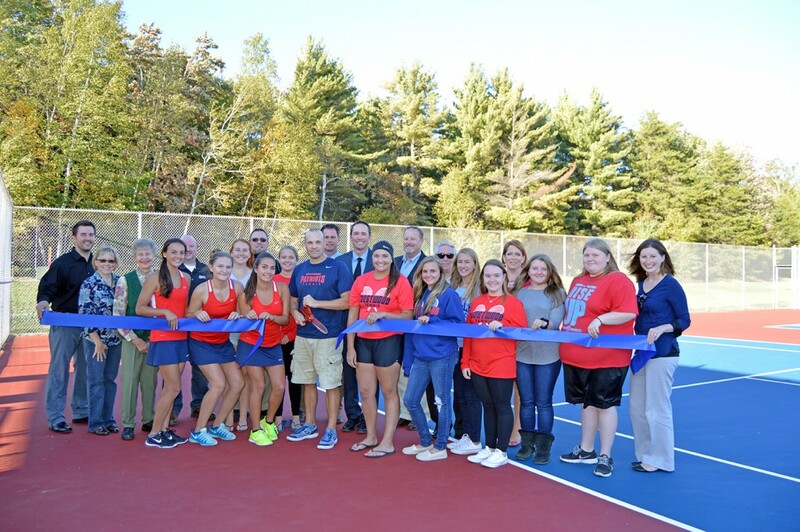 Ishpeming Township, Mich. – NICE Community School District recently teamed up with the Lake Superior Community Partnership (LSCP) for a ribbon cutting to celebrate the grand opening of their newly added tennis courts. The courts are part of their annual sinking fund renovations. The Westwood High School girl’s tennis team was joined by NICE School Board members, Marquette County Ambassadors and LSCP staff. 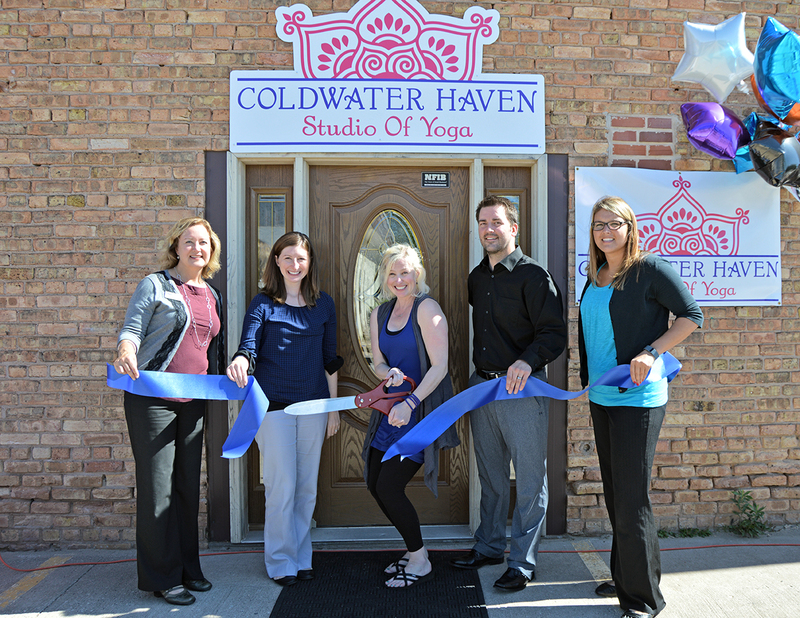 MARQUETTE – Coldwater Haven Studio of Yoga recently teamed up with the Lake Superior Community Partnership (LSCP) for a ribbon cutting to celebrate its grand opening. The yoga studio offers a wide array of yoga therapy classes that can be found online at coldwaterhaven.com. The business is located at 715 W. Washington St., Suite D, Marquette. Hours are Monday’s and Wednesdays 4:30 p.m. & 6:30 p.m., Tuesday’s and Thursday’s 11 a.m. & 5 p.m. and Friday’s 4:30 p.m. The business can be reached at 906.251.0032. Attending the celebration (from left to right) Michelle Sellers, Marquette County Ambassador, Betsy Morais, LSCP Director of Marketing and Communications, Dharmini Robertson, Owner of Coldwater Haven Studio of Yoga, Travis Hongisto, Marquette County Ambassador, Mary VanTillburg, LSCP Business Development Representative. MARQUETTE – Allison Cherrette, owner of Bird on a Perch studio recently teamed up with the Lake Superior Community Partnership (LSCP) to celebrate a successful first year in business. 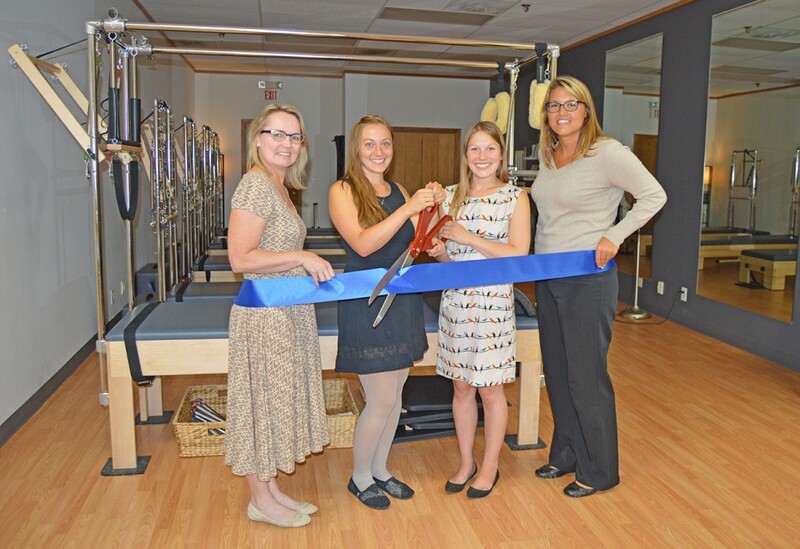 The year-old Pilates studio brings a new dynamic to Marquette, as it is the only classical Pilates Studio in the Upper Peninsula. Bird on a Perch was originally stated in what used to be the Revive Studio, until they added more equipment and expanded over the entire studio space at 307 S. Front St. Suite 205 in downtown Marquette. Visit birdonaperch.com to find out more about the class schedule. Angie Cherrette, Allison’s sister and owner of Sage and Spry, is also located inside the Bird on a Perch Studio. Angie is a certified massage therapist, natural food chef and wellness coach. Visit sageandspry.com for more information. Attending the celebration (from left to right) Linda O’Brien, Business Development Representative, Angie Cherrette, Owner of Sage and Spry, Allison Cherrette, Owner of Bird on a Perch and Mary VanTilburg, Business Development Representative. 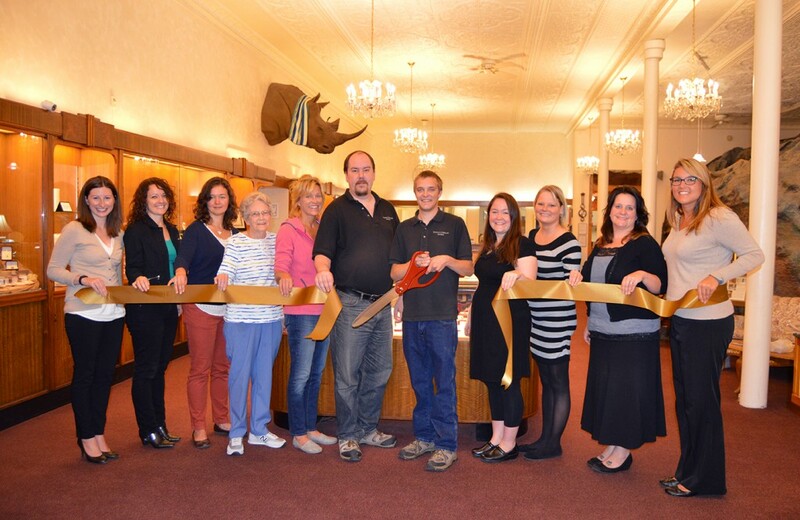 MARQUETTE – Wattsson & Wattsson Jewelers recently teamed up with the Lake Superior Community Partnership (LSCP) to celebrate 30 years of business with a ribbon cutting. The business of 30 years is known for unique and custom made jewelry. Wattsson & Wattsson provides free check and cleans for all jewelry and believes in keeping USA products alive, offering the “UP Pendant,” created locally here in Marquette. The jewelers are open Monday through Saturday, from 10 a.m. – 7 p.m. and Sunday, from 12 – 4 p.m. They can be reached at 906.228.5775 and are located at 118 W. Washington St. in Marquette. Visit www.wandwjewelers.com for more information. Attending the celebration (from left to right) Betsy Morais, LSCP Director of Marketing and Communications, Becky Salmon, Marquette Downtown Development Authority Assistant Director, Tara Laase-McKinney, Marquette Downtown Development Authority Events and Promotions Coordinator, Eleanor Waatti, Owner’s Grandma, Donna Florek, Owner’s Aunt, John Greis, Jeweler, Chris Wattsson, Co-owner, Lacee J. Hartzell, Sales Associate, Nora Grongvist, Sales Associate, Kori Tossava, GINCC Executive Director and Mary VanTilburg, LSCP Business Development Representative. 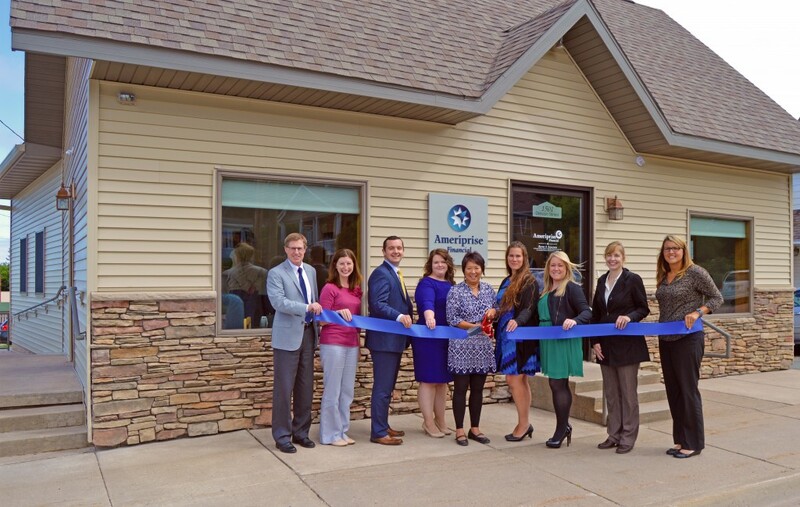 MARQUETTE – Barton & Associates recently teamed up with the Lake Superior Community Partnership (LSCP) to celebrate the opening of their newly renovated office. They are now located at 1501 Division St. in Marquette. Barton & Associates offers a range of services including, retirement planning, tax planning, intergenerational planning, wealth preservation and estate planning strategies. They are open Monday through Friday, from 8 a.m. – 5 p.m. and can be reached at 906.226.7526. Attending the celebration (from left to right) Scott Erbisch, Marquette County Ambassador, Betsy Morais, LSCP Dir. of Marketing and Communications, Scott Knaffla, Financial Advisor, Tammy Runstrom, Financial Planning Specialist, Patricia Barton, Financial Advisor, Angela Abbott, Marketing Specialist, Katy Hogan, Paraplanner, Nicole Young, Marquette County Ambassador and Mary VanTilburg, Business Development Representative. 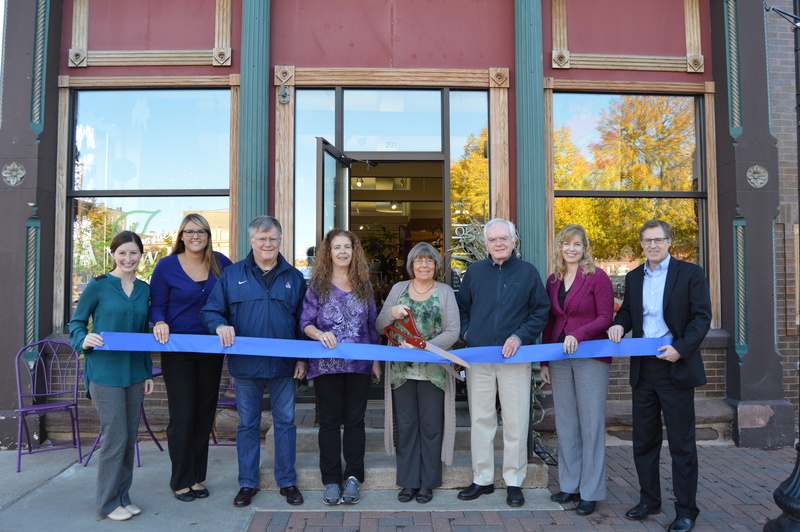 MARQUETTE – Essentials with Kim teamed up with the Lake Superior Community Partnership (LSCP) to celebrate their opening in Downtown Marquette. Essentials with Kim offers affordable and accessible health and wellness services through natural health and creativity practices. They offer a variety of services including, massage, reiki, AromaTOUCH with essential oils, intuitive healing, intuitive readings, full-moon vision-boarding and custom oil blends. Find out more or make an appointment by calling 906.360.5448 or emailing essentialswithkim@gmail.com. They are located at 130 West Washington, Lower level, Suite 12 of the Masonic Square Mall. Attending the celebration (from left to right) Linda O’Brien, Business Development Representative, Scott Erbisch, Marquette County Ambassador, Kim Nixon Hainstock, Owner, Liam Connors, Owner’s Grandson and Betsy Morais, LSCP Dir. of Marketing and Communications. 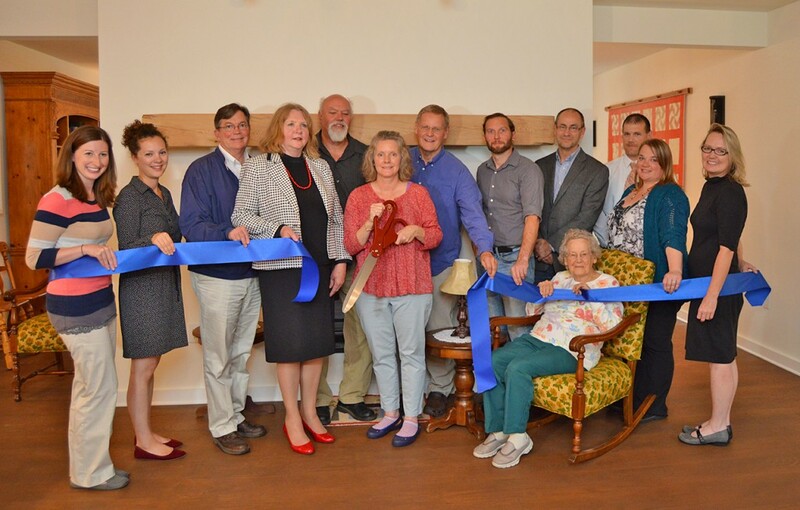 MARQUETTE – Birdcage Antiques and Eclectic Decor teamed up with the Lake Superior Community Partnership (LSCP) to celebrate the opening of their new location in Marquette. 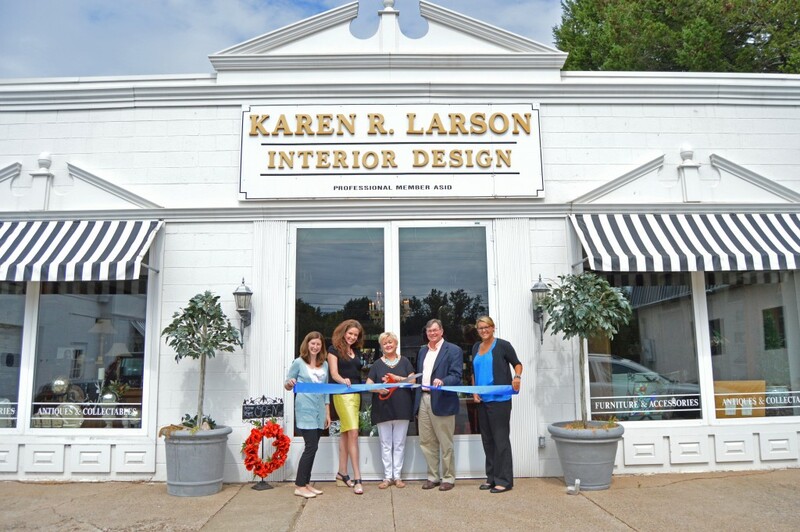 They are sharing a space with Karen Larson Interior Design at 1508 W. Washington Street. Birdcage Antiques and Eclectic Décor is also located at 24 US 41 E in Negaunee. Attending the celebration (from left to right) Betsy Morais, LSCP Dir. of Marketing and Communications, Karen Larson, Owner of Karen Larson Interior Design, Pat Hennessy, Owner of Birdcage Antiques and Eclectic Decor, Dennis West, Marquette County Ambassador, Mary VanTilburg, Business Development Representative. 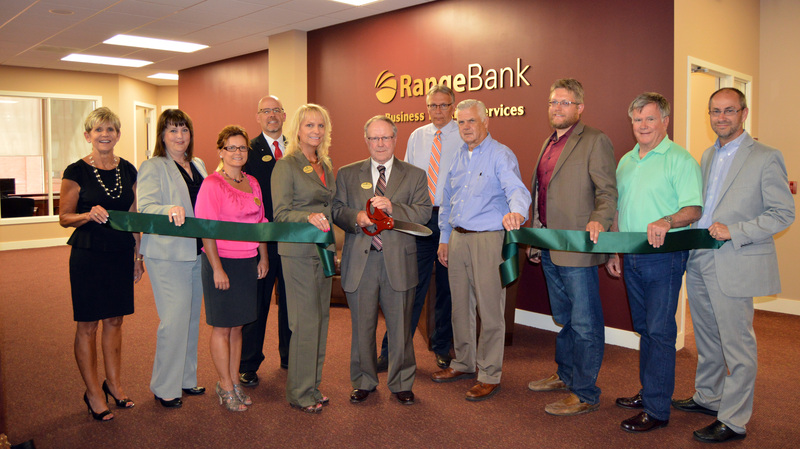 MARQUETTE – Range Bank teamed up to the Lake Superior Community Partnership (LSCP) to host a ribbon cutting to celebrate their newly renovated, full-service banking offices, in downtown Marquette. The recently completed Range Bank offices include deposit services, mortgage and retail lending, business lending and trust and wealth management services along with their executive management team and operations department. 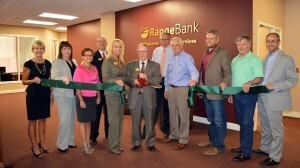 Range Bank is located downtown Marquette at the corner of Front and Washington St.
“As the only bank headquartered in Marquette, we are proud to be a part of the historic downtown and house our full-service banking offices right off the shores of Lake Superior.,” stated Ken Palmer, Chairman, President and CEO of Range Bank. 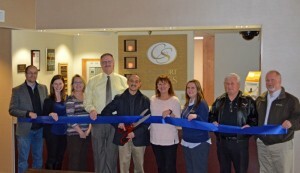 Pictured from left to right: Chris VanAbel, Marquette County Ambassador, Amy Clickner, Marquette County Ambassador and LSCP CEO, Kristy M. Sibilsky, Vice President – Sr. Business Banker, Jack Frost, Vice President – Chief Financial Officer, Roxanne Daust, Executive Vice President, Ken Palmer, Chairman, President and CEO, Terry Jutila, Sr. Vice President, Chief Credit Officer, Scott Reilly, Consultant- Former Executive Vice President, Jesse Schramm, Marquette County Ambassador, Sam Elder, Marquette County Ambassador and Dan Landers, Marquette County Ambassador. 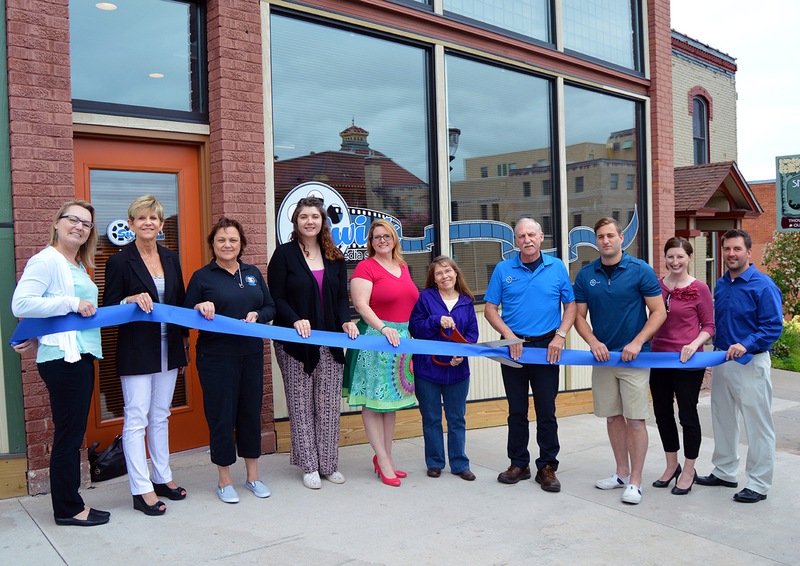 MARQUETTE – Java Bay teamed up with the Lake Superior Community Partnership (LSCP) to celebrate their opening in Downtown Marquette. Java Bay offers a variety of items on their menu, ranging from coffee and smoothies, to lunch and breakfast sandwiches. They are open from 7:30 a.m. to 6 p.m. and are located at 1102 N 3rd Street in Marquette. Attending the celebration (from left to right) Betsy Morais, LSCP Dir. of Marketing and Communications, Dennis West, Marquette County Ambassador, Nicole Collins, Owner, Bob Dudo, Owner, Jason Schneider, Marquette Chamber of Commerce Executive Director, and Mary VanTilburg, LSCP Economic Development Liaison. 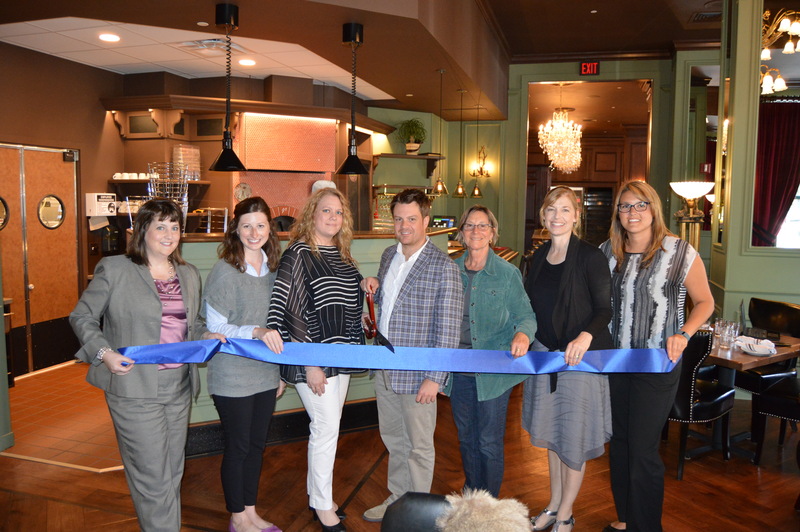 MARQUETTE – Piedmont (at the Landmark Inn) teamed up with the Lake Superior Community Partnership (LSCP) to celebrate their grand opening. The restaurant features flavors of Italy’s Northwest Region, including wood fired pizza, pastas and wine selected by Everyday Wines. Piedmont is located in the Landmark Inn at 230 North Front Street in Marquette. Attending the celebration (from left to right) Amy Clickner, Marquette County Ambassador, Betsy Morais, LSCP Dir. of Marketing and Communications, Michelle Cook, Landmark Inn Director of Sales & Marketing, Matt Mering, Graves Hospitality VP of Food & Beverage and Development, Christine Pesola, Marquette County Ambassador and former Landmark Inn Owner, Nicole Young, Marquette County Ambassador and Mary VanTilburg, LSCP Economic Development Liaison. 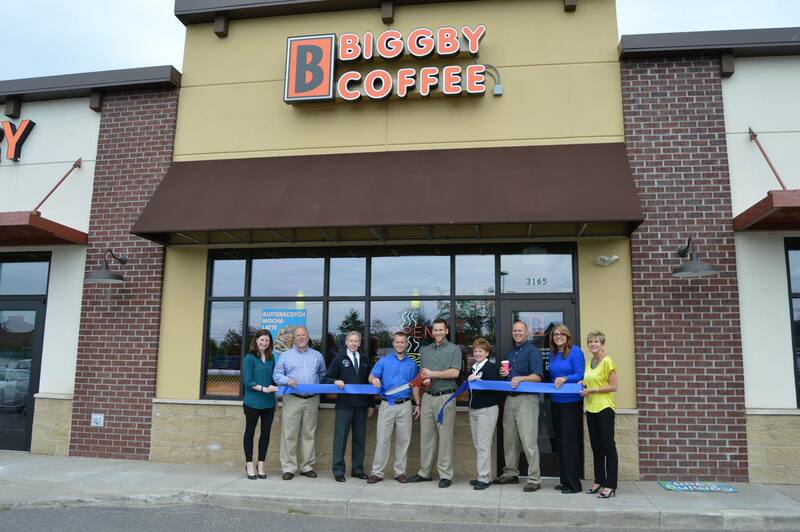 MARQUETTE – Biggby Coffee of Marquette recently teamed up with the Lake Superior Community Partnership to celebrate their grand opening. Biggby Coffee is a Michigan based gourmet coffee shop franchise. They are located at 3165 Wright Street in Marquette. Attending the celebration (from left to right) Betsy Morais, LSCP Dir. of Marketing and Communications, Dave Aro, Marquette County Ambassador, Randy Girard, Marquette Township Manager, Austin Palmer, Co-Owner, Landon Palmer, Co-Owner, Eileen Palmer, Co-Owner, Rodney Palmer, Co-Owner, Mary VanTilburg, LSCP Economic Development Liaison and Chris VanAbel, Marquette County Ambassador. 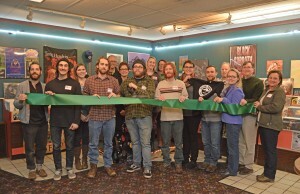 MARQUETTE – Swick Media Services recently teamed up with the Lake Superior Community Partnership to celebrate their grand opening. They provide marketing products and services to a wide range of industries. Swick Media Service is located at 122 North Third St. in Marquette. Visit www.swickmediaservices.com for more information. Attending the celebration (from left to right) Linda O’Brien, LSCP Business Development Representative, Chris VanAbel, Marquette County Ambassador, Mona Lang, Executive Director of Marquette Downtown Development Authority, Lauren Tomasunas, NMU Intern, Nancy O’Hare, Director of Operations, Lynn Swick, Tom Swick, Owner, Mike McCormick, Lead Editor, Betsy Morais, LSCP Dir. of Marketing and Communications, and Travis Hongisto, Marquette County Ambassador. 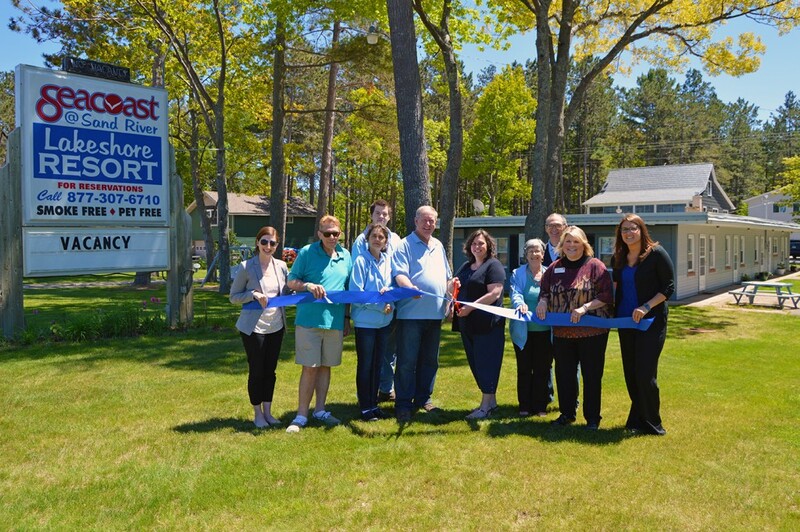 MARQUETTE – Seacoast at Sand River Resort recently teamed up with the Lake Superior Community Partnership to celebrate their recent renovations. Seacoast Resort consists of 4 Family Suites, a Cottage and a Loft. All accommodations on the 3 acre property include free Wi-Fi, Direct TV with HBO and use of a Finnish Sauna. They are located just steps away from the sandy shores of Lake Superior. All accommodations have been completely refurbished in the last year. For more information visit seacoastup.com. Attending the celebration (from left to right) Betsy Morais, LSCP Dir. of Marketing and Communications, Ralph Goldman, Guest, Shauna Platias, Staff, Niko Platias, Staff, Ray Bosch, Owner, Teresa Bosch, Owner, Carole Cooper, Former Owner/Neighbor, Geoffrey Cooper, Former Owner/Neighbor, Molly Dayton, Wells Fargo, Mary VanTilburg, LSCP Economic Development Liaison. 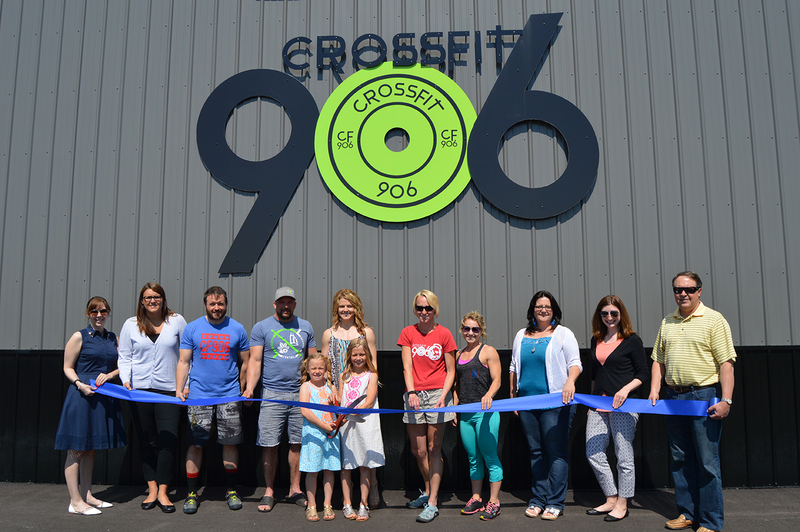 MARQUETTE – CrossFit 906 recently teamed up with the Lake Superior Community Partnership (LSCP) to celebrate their grand opening with a ribbon cutting. 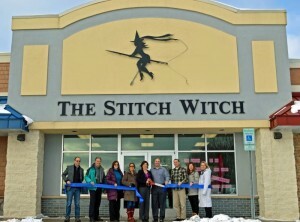 They recently moved to their newly built location on 610 Lakeshore Drive in Ishpeming. For more information, visit www.crossfit906.com. 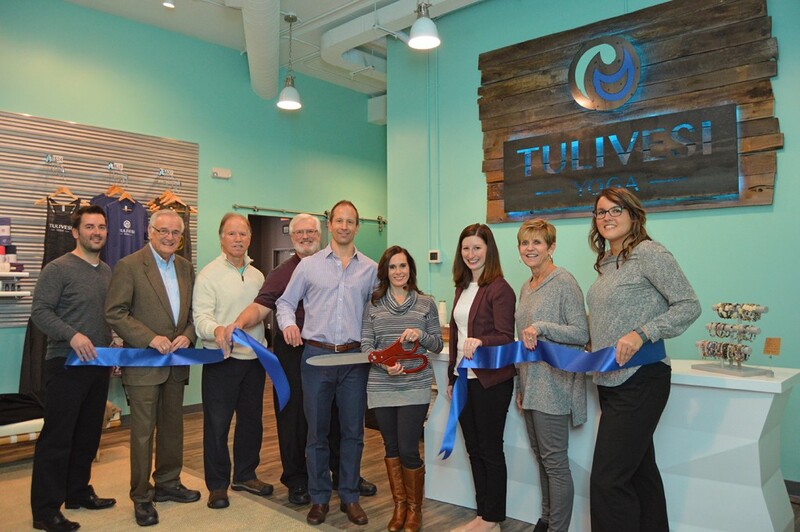 MARQUETTE – Last week Integrated Wellness Chiropractic teamed up with the Lake Superior Community Partnership to celebrate their new location with a ribbon cutting. They recently moved to 109 W. Baraga Avenue, Suite D, in Marquette. Integrated Wellness Chiropractic is designed for families, children with health challenges, busy business people, people underserved by or uninterested in drugs and surgery, and anyone seeking to gain an edge and to support an active lifestyle. Attending the celebration (from left to right) Betsy Morais, LSCP Dir. of Marketing & Communications, Travis Hongisto, Marquette County Ambassador, Adrienne Roberts, A.R.T. 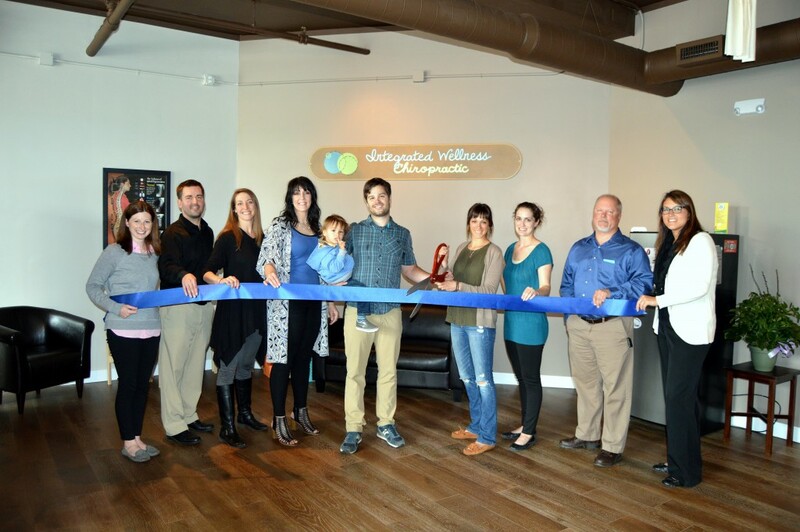 Therapist, Kristen Erdmann, Chiropractic Assistant, Shiloh Turino, Son of Owner, Dr. Brandon Turino, Chiropractor/Owner, Mercedes Turino, Wife of Owner, Kristen Miller, Office Manager, Dave Aro, Marquette County Ambassador and Mary VanTilburg, LSCP Economic Development Liaison. 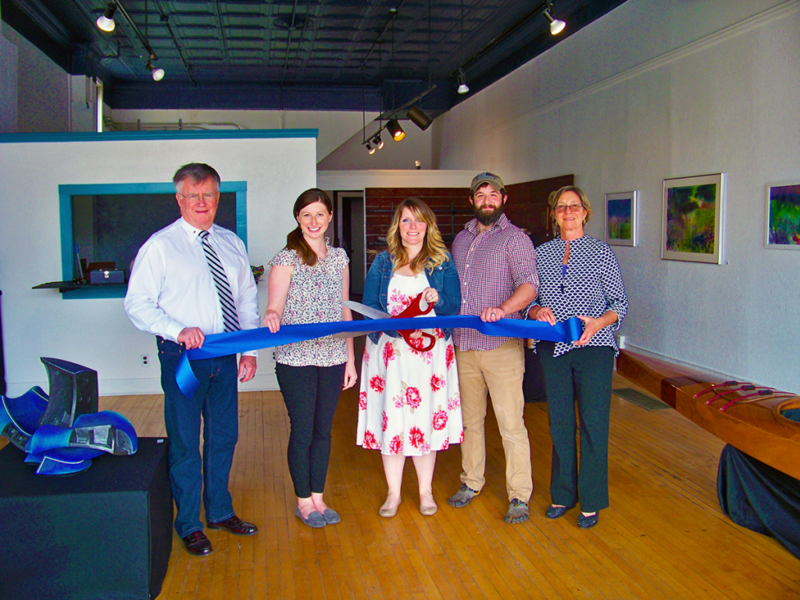 MARQUETTE – White Pine Studio and Gallery teamed up with the Lake Superior Community Partnership (LSCP) to celebrate their grand opening. White Pine is a place where local ceramicists and woodworkers can create, show and sell their work. Classes run weekly for the novice to seasoned artist. They are located at 510 N. 3rd Street in Marquette. Attending the celebration Sam Elder, Marquette County Ambassador, Betsy Morais, LSCP Dir. of Marketing & Communications, Megan and Trevor Belmonte, Owners, Christine Pesola, Marquette County Ambassador. 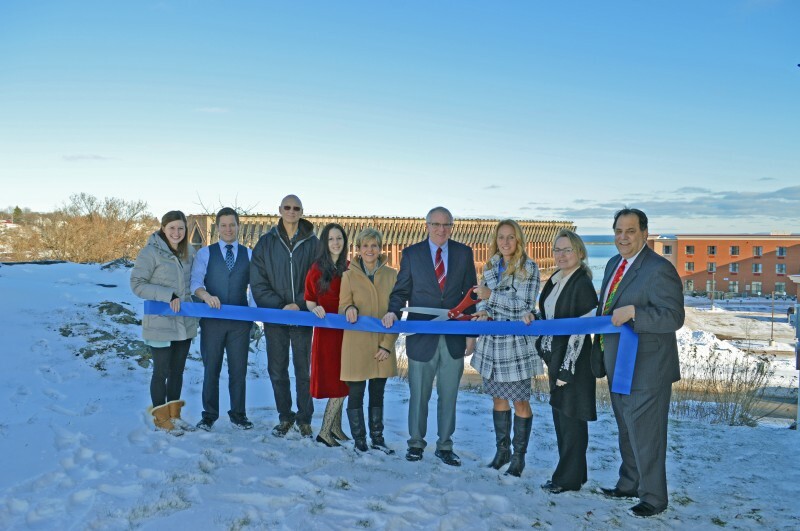 MARQUETTE – Revisions Design Studio teamed up with the Lake Superior Community Partnership (LSCP) to celebrate their new location. They recently moved to 219 W. Washington St in Marquette. Revisions sells handmade upcycled lighting, ceramics and spoon jewelry. Their work can be found in stores worldwide. Stop in Saturday, April 25 from 11-5 p.m. to celebrate their grand opening with refreshments giveaways and in store promotions. 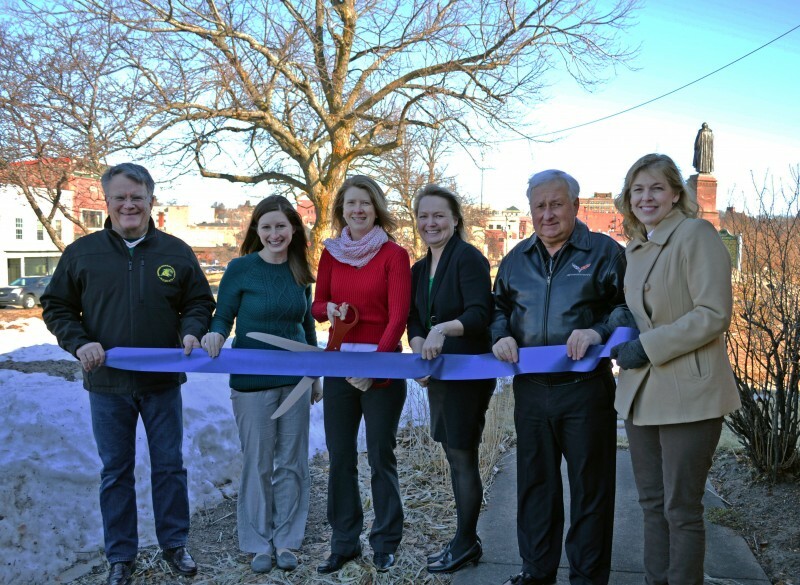 Attending the celebration (from left to right) Caralee Swanberg, LSCP VP of Economic Development, Randy Larson, Marquette County Ambassador, Michele Dupras, Owner, Tom Baldini, City of Marquette Commissioner and Betsy Morais, LSCP Dir. of Marketing & Communications. 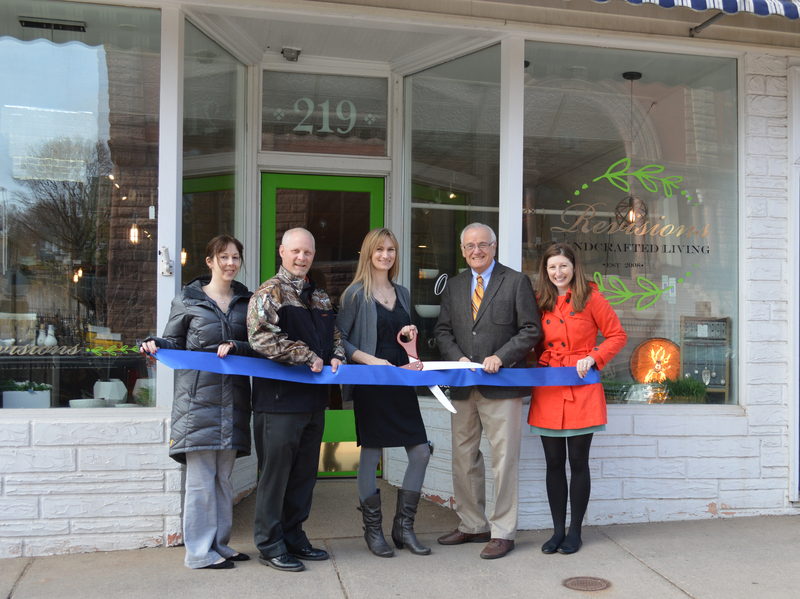 MARQUETTE – Jessica and Company Salon teamed up with the Lake Superior Community Partnership (LSCP) to celebrate their new location. They recently renovated their new space on Washington Street. 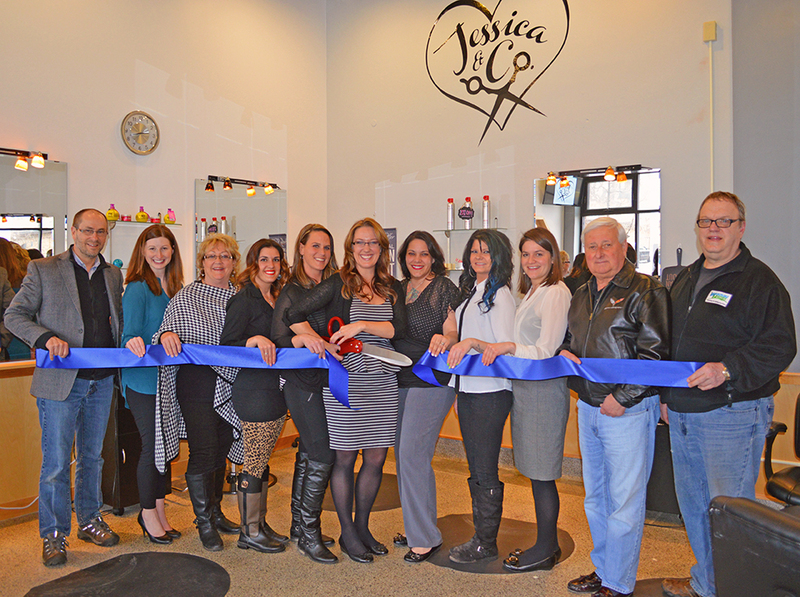 Jessica & Company prides itself on the large array of services beyond hair. They offer tanning, body waxing and all nail services. You can now find them at 335 West Washington Street in Marquette. To make an appointment call 906.226.6220. Attending the celebration (from left to right) Dan Landers, Marquette County Ambassador, Betsy Morais, LSCP Dir. of Marketing & Communications, Wendy Pesola, Owner, Neily Collick, Stylist, Stacy Burress, Stylist/Manager, Jessica Pesola, Stylist/Owner, Angela Sleeman, Nail Tech, Miranda Sliger, Stylist, Denise Elizondo, LSCP Economic Development Liaison, Robert Raica, Marquette County Ambassador and Brian Pesola, Owner. 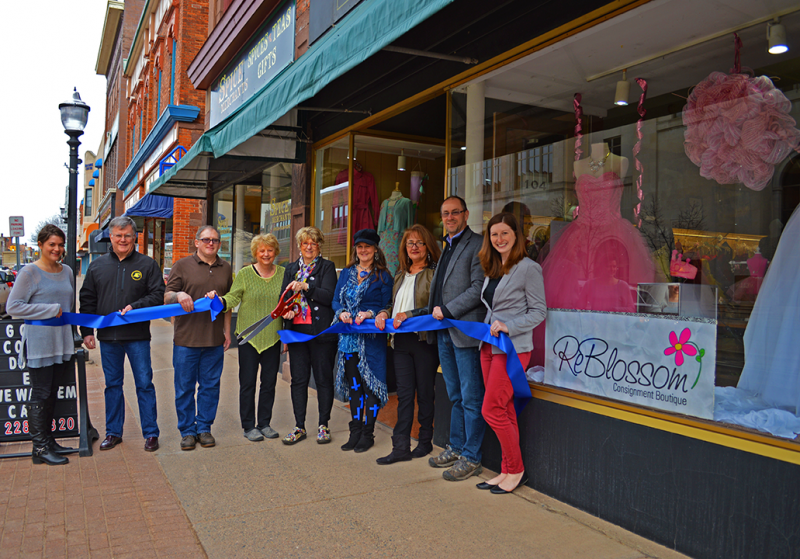 MARQUETTE – ReBlossom Consignment Boutique teamed up with the Lake Superior Community Partnership (LSCP) to celebrate their new location. They will consign or give you cash or in store credit for your underloved new or like new current style designer brands. They sell clothing, handbags accessories and more at a fraction of the retail cost. Stop in their new location at 104 W. Washington St. Attending the celebration (from left to right) Denise Elizondo, LSCP Economic Development Liaison, Sam Elder, Marquette County Ambassador, Rick Olson, Shirlee Schwemin, Sharon Rule, Tracy Morrin, Diane Tonella, Dan Landers, Marquette County Ambassador and Betsy Morais, LSCP Director of Marketing & Communications. MARQUETTE – Natural Organizing teamed up with the Lake Superior Community Partnership (LSCP) to celebrate their move to Marquette. Natural Organizing was previously located in Minneapolis, Minn. and was established to combine organizational needs with the principles of reduce, reuse and recycle. They work in homes and in businesses. Visit their website at www.naturalorganizing.com. Attending the celebration (from left to right) Sam Elder, Marquette County Ambassador, Betsy Morais, LSCP Dir. of Marketing & Communications, Carol Hultquist, Owner, Linda O’Brien, LSCP Business Development Representative, Bob Raica, Marquette County Ambassador and Nicole Young, Marquette County Ambassador. 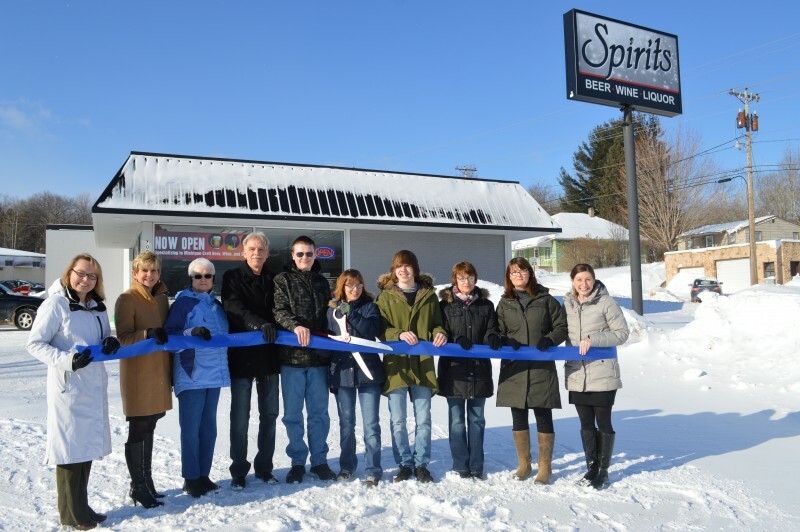 MARQUETTE – Spirits recently teamed up with the Lake Superior Community Partnership (LSCP) to celebrate the opening of their store. Spirits is a beer, wine, and liquor specialty store. They are located at 700 Chippewa Square in Marquette where Seventh Street turns into Grove Street. Attending the celebration (from left to right), Linda O’Brien, LSCP Business Development Representative, Chris VanAbel, Marquette County Ambassador, Irene Kindstrand, Ed Jakubiszyn, Owner, Zak Jakubiszyn, Hannah Jakubiszyn, Social Media Director, Ben Jakubiszyn, Kim Jakubiszyn, Owner, Joellyn Maddock, Betsy Morais, LSCP Dir. of Marketing & Communications. 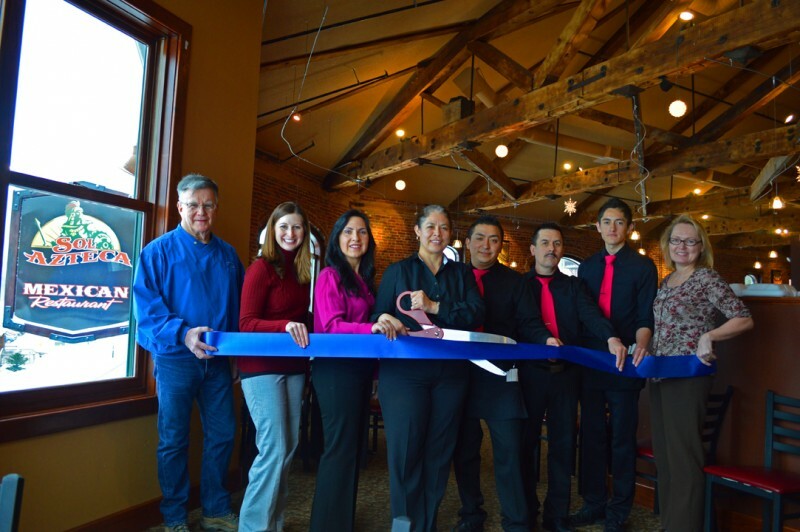 MARQUETTE – Sol Azteca teamed up with the Lake Superior Community Partnership (LSCP) to celebrate one year in business. They have recently obtained a liquor license and now serving a full bar. Sol Azteca is located at 105 E. Washington Street in Marquette on the 2nd floor. An elevator is available. Attending the celebration (from left to right) Sam Elder, Marquette County Ambassador, Betsy Morais, Dir. Marketing and Communications, Suzanne Petschke, Realtor, Look Realty, Aurora Cardoso, Manager, Martin Hernandez, Server, Rafael Perez, Server, Rafael Perez Jr. Server, Linda O’Brien, Business Development Representative. 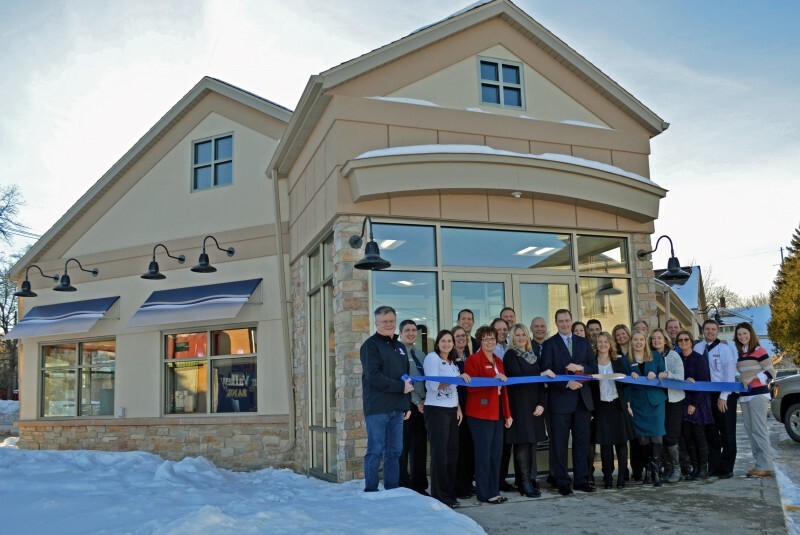 MARQUETTE – River Valley Bank recently teamed up with the Lake Superior Community Partnership (LSCP) to celebrate the total renovation of their 3rd Street location in Marquette. This location had been under construction for a few months and officially reopened December 1st. The new design features barrier free banking with a café and lounge area. They are located at 1101 North 3rd Street in Marquette. 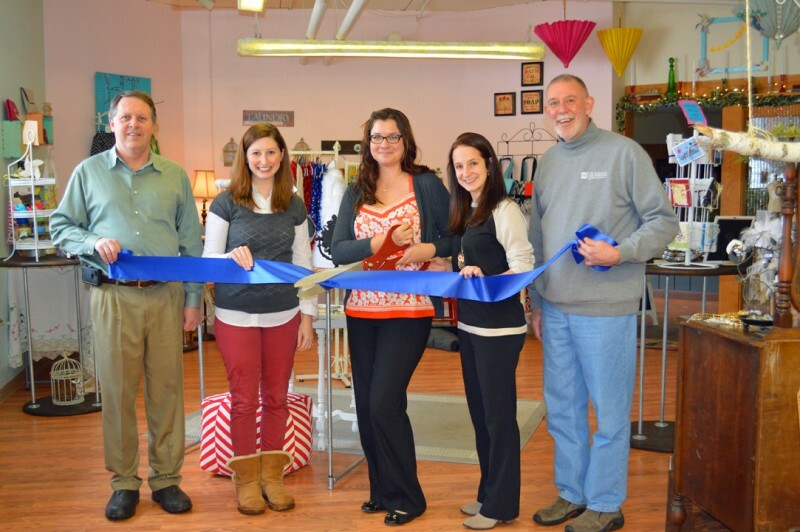 MARQUETTE – Panache Boutique teamed up with the Lake Superior Community Partnership (LSCP) to celebrate their grand opening. They sell handmade gift items including candles, jewelry, note cards, children’s clothe, accessories and more. Panache Boutique is located in the Negaunee City Center at 211 Iron St Ste 7 in Downtown Negaunee. Attending the celebration (from left to right) Keith Moyle, Marquette County Ambassador, Betsy Morais, LSCP Dir. of Marketing & Communications, Janice Chittle, Owner, Cecily Hornady, Manager and Tom Edmark, Marquette County Ambassador. MARQUETTE – The YMCA of Marquette County teamed up with the Lake Superior Community Partnership (LSCP) to celebrate the grand opening of their new early childhood development center. They will be hosting an open house on Wednesday, January 28th from 6:30-8:30 p.m. that is open to the community. Hor d’oeuvres and light refreshments will be served. They are located at 3052 Wright St in Marquette. Attending the celebration (from left to right) Dan Landers, Marquette County Ambassador, Betsy Morais, LSCP Dir. of Marketing & Communications, Brandon Evans, YMCA Board Member, Lisa Coombs-Gerou, YMCA CEO, Laura Murawski, YMCA Program Development Leader, Travis Hongisto, Marquette County Ambassador, Don Grisham, YMCA Board President, Linda O’Brien, LSCP Business Development Representative and Randy Girard, Marquette Township Manager. MARQUETTE – The Stitch Witch recently teamed up with the Lake Superior Community Partnership (LSCP) to celebrate their grand opening. They specialize in alterations and are located at 1001 State Hwy M28 E., Ste 3 in Chocolay Township. Attending the celebration (from left to right) Dan Landers, Marquette County Ambassador, Dale Throenle, Community Development Coordinator, Chocolay Township, Kelly Drake Woodward, Planning Director/Zoning Administrator, Cholocaly Township, Christine Pesola, Marquette County Ambassador, Kendra Symbal, Owner, Matt Smybal, Jason Schneider, Betsy Morais, LSCP Dir. of Marketing & Communications and Linda O’Brien, LSCP Business Development Representative. MARQUETTE – Comfort Suites recently teamed up with the Lake Superior Community Partnership (LSCP) to celebrate their total renovation. The hotel has all new rooms, lobby, breakfast area, pool, meeting rooms and a underwent a complete exterior renovation. They are located at 2463 US Highway 41 W in Marquette and are a part of the Superior Oasis Group of businesses. Attending the celebration (from left to right) Dan Landers, Marquette County Ambassador, Betsy Morais, LSCP Dir. of Marketing & Communications, Linda O’Brien, LSCP Business Development Representative, Brian Jensen, Dir. 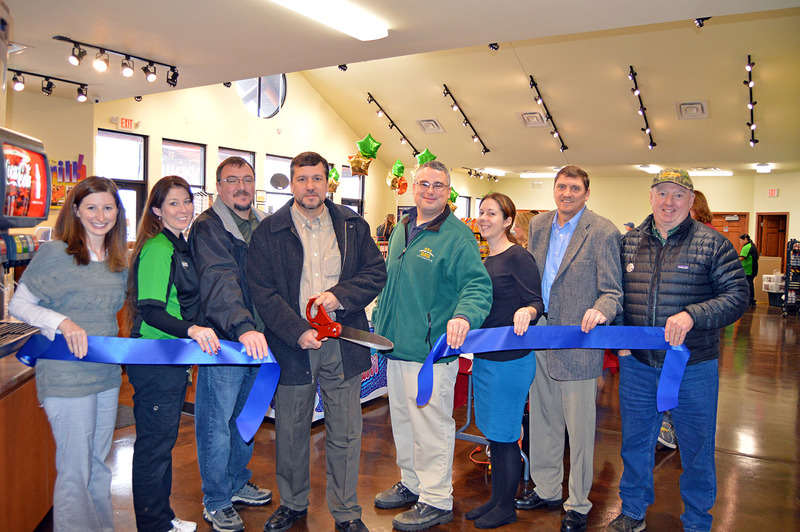 of Operations, Frank Stabile, Owner, Linda Stabile, Owner, Beth Meyer, Asst. General Manager, Bob Raica, Marquette County Ambassador and Dave Aro, Marquette County Ambassador. MARQUETTE – Simply Superior Consulting recently teamed up with the Lake Superior Community Partnership (LSCP) to celebrate their new business. They provide consulting, training and workshops designed to build upon your staff’s strengths and help them reach their full potential. Visit their website at www.simplysuperiorconsulting.com. Attending the celebration (from left to right) Betsy Morais, LSCP Dir. of Marketing & Communications, Derek Bush, LSCP Business Development Representative, Tom Tourville, Marquette County Ambassador, Caralee Swanberg, LSCP Dir. of Business Development, Chris VanAbel, Marquette County Ambassador, Dave Bonsall, Simply Superior Consulting, Rachel Harris, Simply Superior Consulting, Linda O’Brien, LSCP Business Development Representative and Dennis Smith, Marquette County Ambassador.